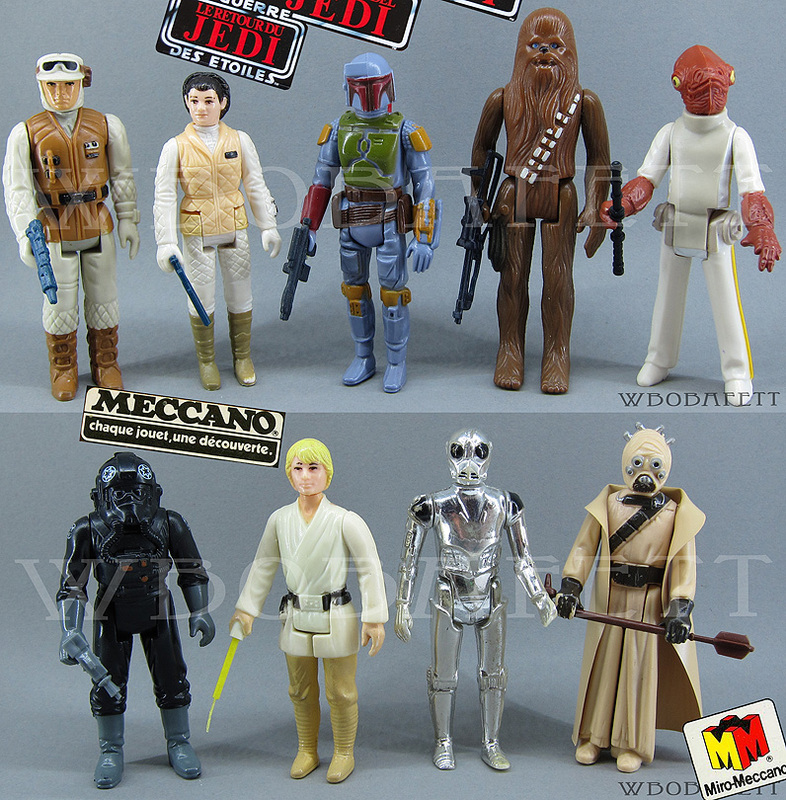 Sorry if I missed this, but does a Meccano Leia Bespin exist? (I will take my lumps if I am just being stupid with this question) but I really can't tell for sure. I have yet to find a definitive picture or post/article with any solid details in the usual spots but I might have missed an obvious or even obscure one. If so, any pics or links would be appreciated!!!! Not sure if Yoda should be there? 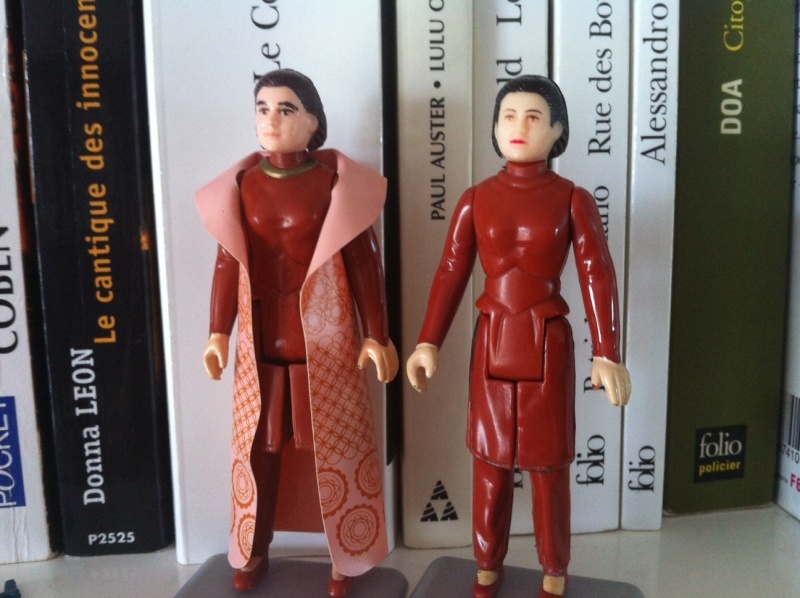 "Geisha" Leia Bespin can be found in France. There aren't that many of them. It's not exclusive though. I don't think there is a Meccano Chewbacca. Some of the others can be found outside of France, even. OK, so do you have any other info on the 'pale face'? What COO markings does she have? Here are two of my Leias. First off, she looks a LOT more pink in the above photo than in reality!!! She is not as 'ghost white' as the one on the right, but she is very, very pale in person. 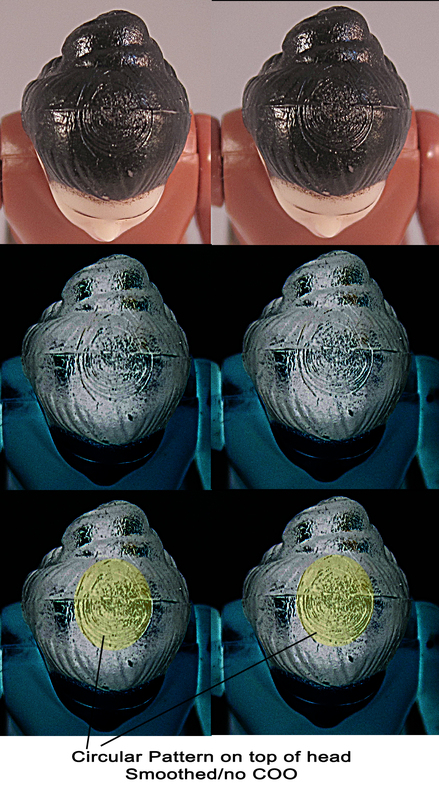 The one on the right I have shown many times is what I call "Geisha Leia". Her face is nearly pure white all over. It doesn't appear to be fading of color, but perhaps a lack of a good mixture early in a batch or something? Her hands are as pink as most of my Leias. 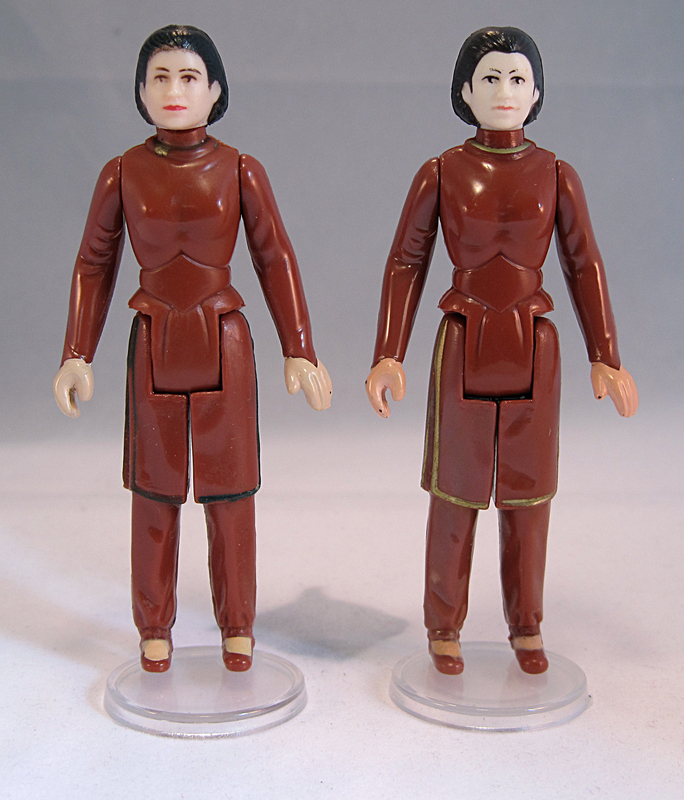 The one on the left has a very pale face that is hard to photograph right now (better later in the day for me to get better sunlight) but her face is very pale compared to every other Leia I have. Her hands are also the palest aside my my newly acquired POCH but they are very close. Looking at your photo, I think this one could be the same one (well, based on a front only view). Perhaps the most intriguing part of her is the very top of her head. It is unlike any other Leia Bespin I have seen. Again, without seeing the COO I can't really be sure, but it looks darn close to me. I would love to see more pictures of her all around and especially her COO and top of head. If you have her, would you mind sharing background info and images of her? Mine is like yours: lipstick, circle pattern on top of head, pale hands etc. Thanks for the link and the info on yours! And yeah, I still can't figure out the reallllly white faced one on the right, but she is my favorite just because she really stands out. So if I were to "label" the one on the left, she simply would be a TriLogo, correct? But what is the "French Connection" here? Anything? I always knew the pale face on the left was something a bit unique but just couldn't find the info. The picture you posted above I just found on RS from bonsai's thread. I was watching that thread hoping for the 'ghost face' images but gave up a couple months ago but apparently both images I wanted to see have now popped up in that thread! Awesome! I have been ignoring the Google results from that thread not thinking it would be edited. You made my day clarifying that mine isn't just an oddity and that others exist. _Rog_ says "French ROTJ & Tri cards". Checked my leias tonight and found out I also got a pale face no coo Leia with circles on the head. Looks just like yours. just got the same leia this morning. bought it in paris, but don't know where the guy had it from. 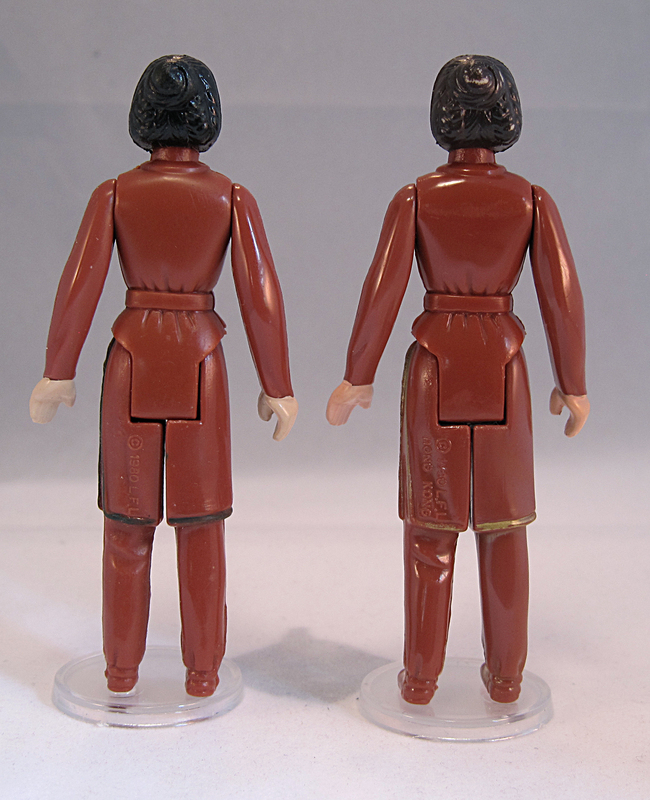 dark hair, pale face, left hand close, no coo, circle on top of the head, lipstick, red neck, and I notice that between the brest, she hasn't the mark like the two other leai bespin i got has. is it rare one? any idea of a price? She may be slightly more difficult to find, but as a naked figure I can't imagine it being worth more than 10 pounds to a CoO collector. Thank you. Sorry , some Of you might not know me yet, even if i already sent pm to other or contact on rebelscum. I Am in Paris, 36, collecting loose variant since one year, and already have a Nice collection. My last acquisition is this leia i like a lot, yoda (poch? ), logray and biker ledy. "french jawa vinyle cape, meccano tusken and meccano walrus Smile i Also have dsd raised bar, Luke hoth scar pink face.."
The tusken raider is a no COO hollow tube? one more question the DSD is there remnants of 'Hong Kong' showing below the raised bar? Hi aussie, sorry for that late answer, didn't see your message before. the jvc is loose. I said "meccano" jvc because I think the coo is a little different from other jvc. not sure at all this is a meccano variant, don't think there are early fig that are mec variant. but the jvc is 100% original for sure. for the dsd, I had two variant, on both of them you could read remnants of hong kong, one was the h, the other the g.